Our client is the leading provider of health insurance related solutions for providing online and easy access to health insurance. Our client offers these services to a range of consumers spanning from employees of small and medium businesses, state governments and several other customers across the Americas. Our client also acts as an agency that provides a bridge between the carriers and the brokers in offering Health Insurance. They offer information on plans, rates, carriers and eligibility requirements for enrollment, also quotes in easy-to-understand formats are given to brokers and groups. Xoriant product engineering experts had developed a health insurance exchange for the client in accordance to the Affordable Care Act (ObamaCare). 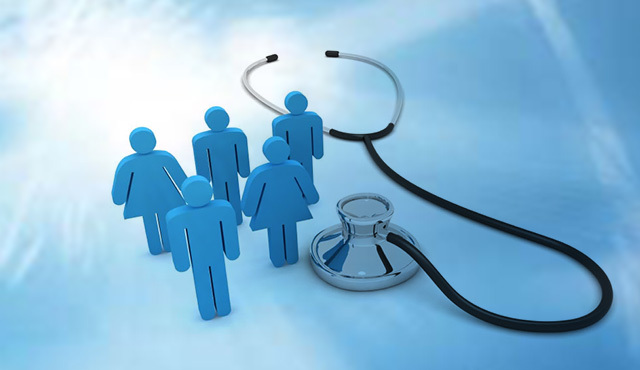 This platform allows users to evaluate healthcare plans best suited to them as per their financial, demographics, family and several other criterions. To obtain the necessary data, the platform is to be integrated seamlessly with 3rd party State web services and health information servers to retrieve and send patient/ customer data and other background checks. The exchange also involves large amount of incoming and outgoing data and other complexities involving interactions with 3rd party applications for different kinds of health insurance plans. Due to these intricacies and sensitivity of the data, it was imperative to have a thorough QA process in place to ensure detailed testing of seamless integrations and also avoid delay in time-to-market considering the time criticality of the platform . Considering the sensitivity of data and criticality of the time constraints, Xoriant chose to deliver a Continuous Integration automation framework in order to facilitate faster development of the application along with greater accuracy. Xoriant automation team engaged the client in designing and implementing script-less automation framework to automate end-to-end workflow. It facilitates to automate and execute critical modules by delivering 1400 test cases. 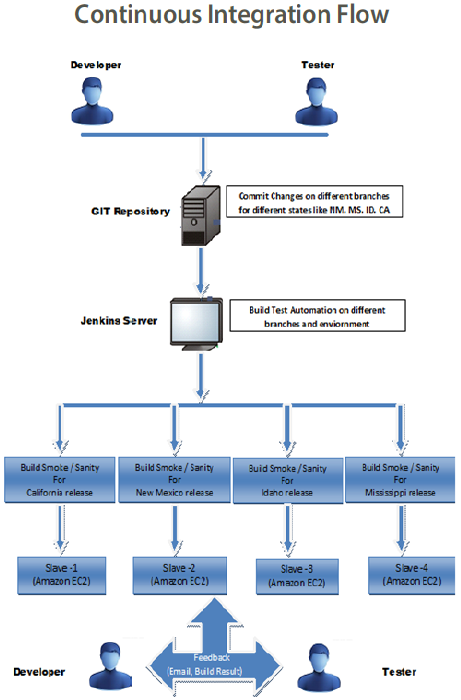 Xoriant automation team developed Continuous Integration model effectively using Jenkins that verified each and every check-in by automated builds and allowing team to detect problems early for different releases. The Continuous Integration model facilitates developer and QA teams to build and execute automation job on different environment and releases for different releases across different States. Xoriant automation team developed more than 50 Continuous Integrated jobs on Jenkins including Sanity, Regression and Smoke testing. Xoriant testing team primarily focused on client’s business functionality and ensured end-to-end functional precision without any exception. The offshore testing team partnered with the client and followed Agile methodology for testing services. An effective communication channel between the client, offshore teams and onshore teams ensured completeness and clarity of the requirements. Xoriant functional testing experts implemented robust test process using Zephyr of JIRA to deliver complete test management and reporting. Xoriant team created business critical regression test suites for all States the product was developed for. Weekly regression cycles were carried out with identification and closure of defects well before time of the product releases. Considering that the need for this exchange portal was mandated by the US government, it was imperative for the client to comply with all healthcare federal laws under ACA (Affordable Care Act). 100% compliance being one of the critical areas, Xoriant team performed open web application project (OWASP) top 10 testing for all releases of the product using tools like Burp, Paros, Wireshark , Nessus, IBM Appscan and Qualys. Xoriant Performance engineering team was engaged from initial phases of the product development. With the domain knowledge and technical expertise on cloud platform, Xoriant team facilitated quick detection of high impacting issues. 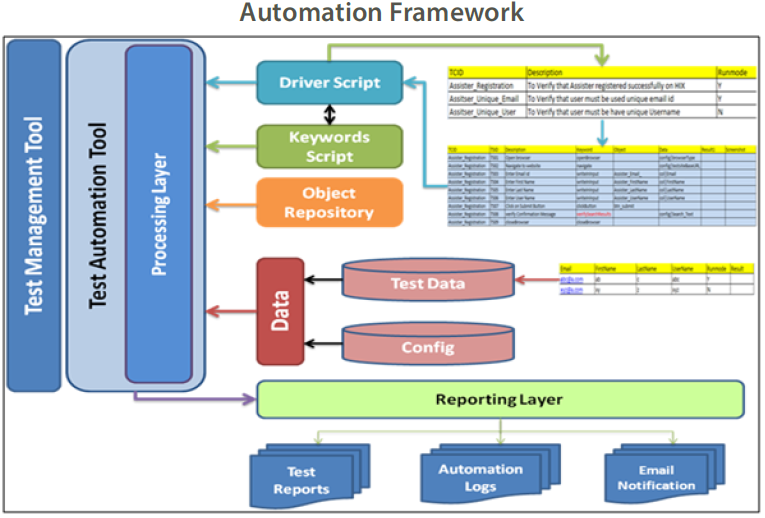 Xoriant automation testing experts provided a hybrid automation framework which was scalable for automating 1500+ testing scenarios across multiple States. Determine the performance limits of the application including both scalability and reliability on cloud. Identify bottlenecks at various system levels.